Featuring 5,000 square feet of meeting space, over 160 guest rooms and convenient onsite parking, Heritage can accommodate groups as large as 275 guests. All meeting and event space was recently renovated in 2013 with new carpet, tables, chairs and corridors. Heritage Hotel offers premier catering services for meals and refreshments, and the professional catering staff ensures that events run smoothly to deliver the results you need. Choose from an expansive range of catering menus, or define your own menu. Simplify your work with quality audio/visual (A/V) equipment rentals. Enjoy peace of mind knowing that you and your attendees will be warmly welcomed and promptly served. Ask about our special corporate rate for qualifying companies. 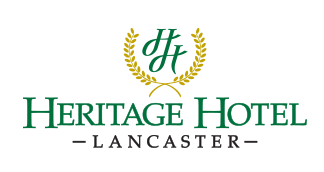 Conveniently located near the commercial and industrial center of Lancaster, Heritage Hotel includes Loxley's Restaurant with a full bar, outdoor pool and fitness room. Close to all popular Lancaster tourism attractions and just minutes from Millersville University, Franklin & Marshall College, and Lancaster Bible College. 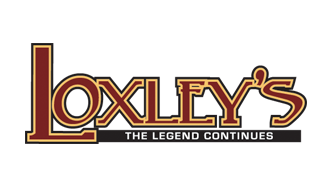 After your meeting, take some time to relax at Loxley's Restaurant on the expansive patio featuring two outdoor bars.